Still adapting to the after-effects of the injuries suffered in his 2011 rally crash, Robert Kubica admits to now driving "70% left-handed". Having almost had his right arm severed in a rally crash in early 2011, as the popular Pole made his return to the wheel he has had to adapt his driving technique as he progressed from rally back to circuit racing and eventually F1. 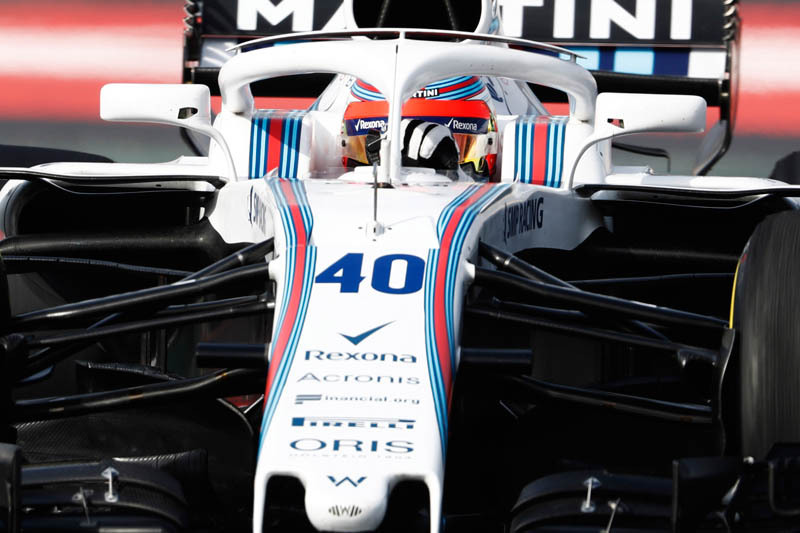 Indeed, Kubica reveals that as well as adapting his driving style, his body, as it recovers, has also adapted, meaning that his left arm is now significantly stronger than before the crash. "Many years ago, when I started testing with simulators, I asked my doctor if it's possible I have much better sensitivity, more precision in my left arm," he tells Autosport. "Somehow, your body adapts to reality," he explains. "If you are two-handed, healthy, you don't need to be so precise with one arm. So, for example, when I'm driving, I'm driving around 70% left-handed and 30% right. If I were to try to do 50/50 like the old days, I would not manage it. "It's coming naturally because this is the way I have to do it," he adds. "I cannot try to do the things I used to do because, with my limitation, I'm not able to do it. That's not only driving but also living. Everything I tried to do in the same way, I got disappointed, but then I realised I could still do them in different ways." The Pole reveals that his new style of driving is better suited to today's F1 cars, recalling 2010 when drivers were required to use their arms or legs to activate the F-ducts. "In 2010, I was doing Eau Rouge with Renault in qualifying with one hand because I was covering the hole to stop the rear wing and I was going through Eau Rouge one-handed," he reveals. "This was much more dangerous than my driving now, because then I was really driving only one-handed. "Of course, there are moments where I drive only right-handed or let's say left-hand on the straight, I'm recovering my left hand. But this comes automatically and I think I'm very lucky in my position because I have always driven not in a physical way at all. I drive very relaxed. I've spoken with other drivers who have to hold the steering wheel otherwise they can't drive it."